Because your builder’s warranty is about to expire. 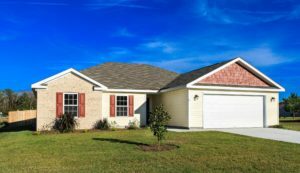 Warranties for newly constructed homes typically offer coverage on workmanship and materials relating to various components of the home, such as windows, heating, ventilation, HVAC, plumbing and electrical systems. Because these warranties usually expire one year after settlement, a first year anniversary inspection should be performed 11 months after closing. Our Builder’s Warranty Inspection gives you a comprehensive understanding of the condition of the property across a dozen major categories: Exterior, Roof, Structure, Water Control Systems, Insulation and Ventilation, Interior, Electrical, HVAC, Plumbing, Fuel Services, Appliances and Environmental Systems. We provide you with specific recommendations and next steps. We also provide you with a detailed punch list that you can present to your builder. The punch list documents items that need to be replaced/repaired before your new home warranty expires. Our Home Inspection empowers you to know your home’s condition and gives you exactly what you need to address potential concerns. Our Radon Gas Test determines if your home’s radon gas levels exceed safe levels established by the EPA. We deliver many other types of residential inspections, including well, septic, pool, sprinkler and new home inspections.